I know it sounds like all I did was drink some pretty good beer before, during and after Key West Brewfest (I did that). Well, there was more! While Brewfest was the focus of this trip (I won't lie), I managed to play a round of golf and get a couple of dives in, too. (Yeah, the SUV was crowded with equipment.) 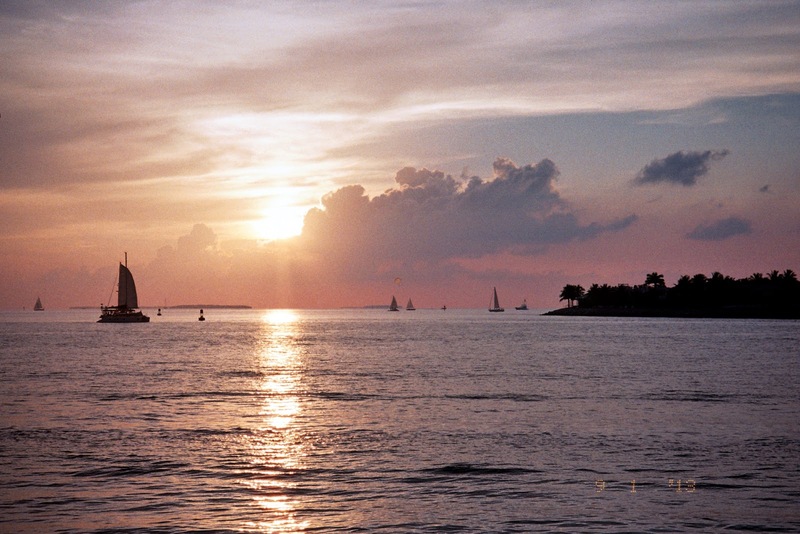 And, the Sunset at Mallory Square is always a must-see! Key West Golf Club -Who Wants to Play? 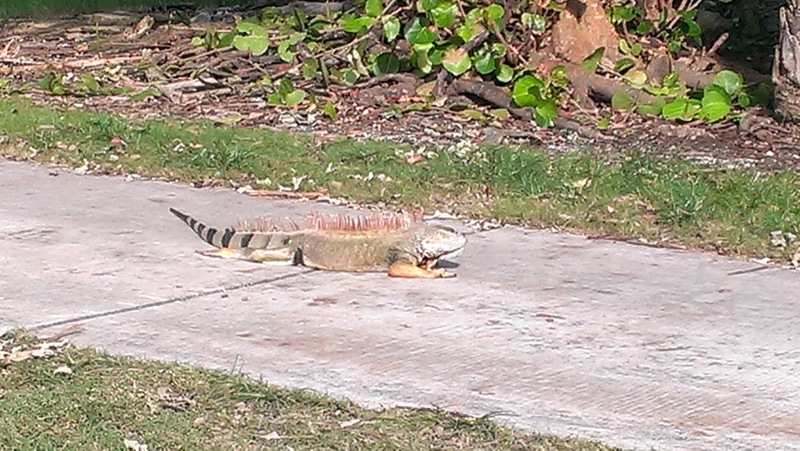 It's the only 18-hole course in the Florida Keys. I've been here a number of times, but had never played the course before. It was in good shape, and it's a fun course with just enough water. 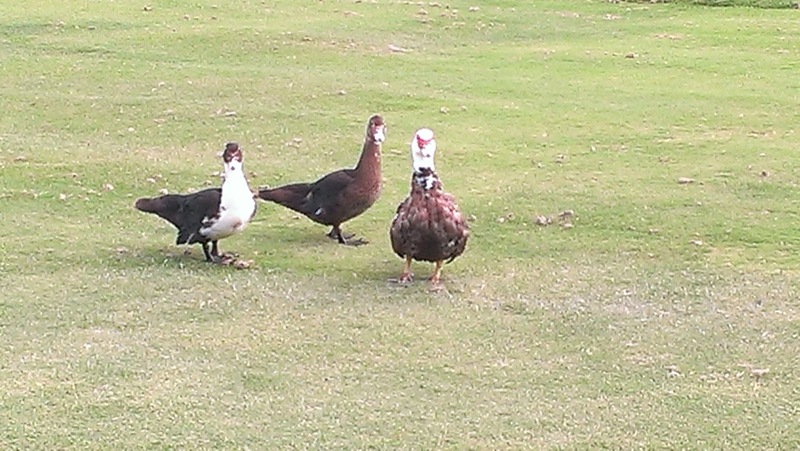 There are a good number of "locals" that visit this course, too, and, they're pretty friendly! I have never seen him before! 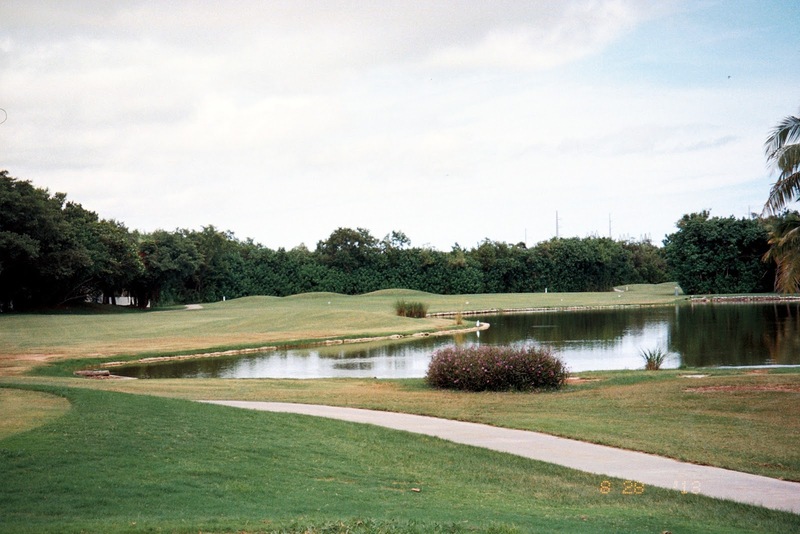 The signature hole is a par 3 over the mangroves. Yes, this is the view from the tee. Somewhere back there is the green. I had no problem clearing the mangrove forest, but I won't talk about what happened after that. Let's just say there was some slope on that green. 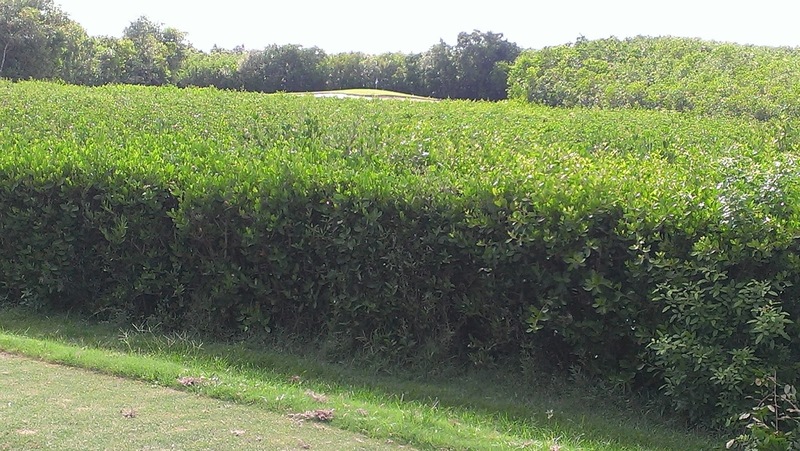 All in all, I can't imagine going back to Key West and not playing this course again. It was fun, the holes were challenging, and the holes were different. Pro shop staff was friendly. The property doesn't offer a driving range, but you can warm up by hitting into a large net. Bring the clubs and get out there! 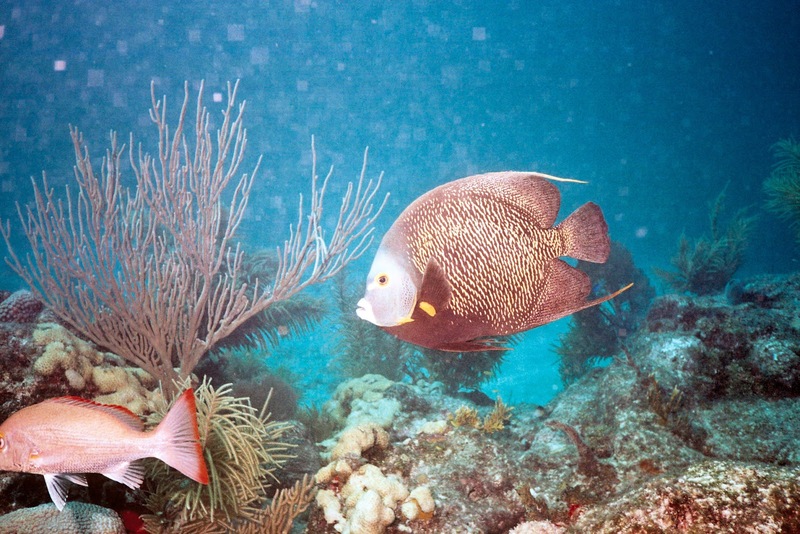 Florida Keys diving is known for the abundant fish life. Not only are there large numbers of them, but they can get big! Good food supply. Last May, I dove in Islamorada. 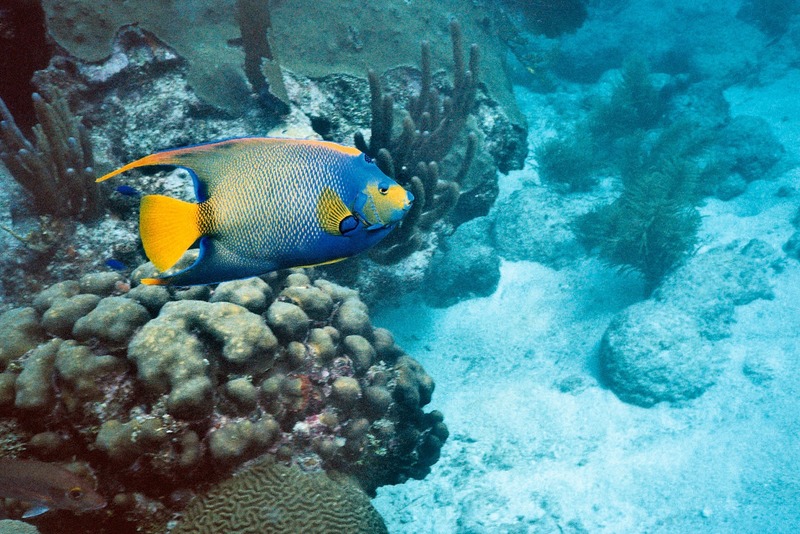 The Upper Keys (Key Largo/Islamorada) offers prime diving. This time around, we opted to go just north of Key West. 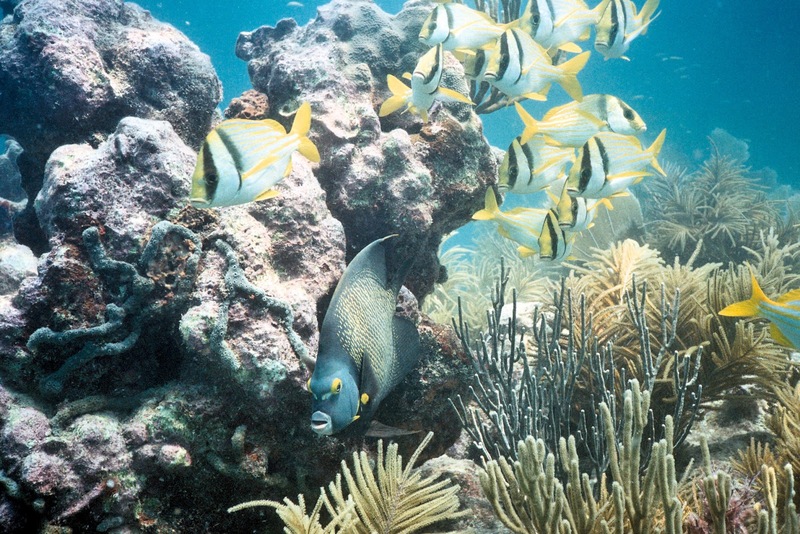 Looe Key is generally a protected site, and it seems that the marine life knows that they are safe there. Looe Key Divers provides dive/snorkel trips on a large catamaran. It's quite comfortable, although it really is a giant stride off that boat! As is typical of Keys diving, there were large schools of fish, and, yes, some big guys. I didn't see any turtles or sharks on this trip, but they are out there. Unfortunately, this time of year apparently brings moon jellyfish, and, while fascinating, they are a bit creepy (especially to someone like me who is allergic to bug and critter bites and stings). But, I had my neon divesuit on for added protection. (I don't know if jellyfish like or dislike neon). The diving here includes formations of large finger-like corals, and all you have to do is follow along. Easy to navigate. The depths are rather shallow - only about 25ft. The visibility was a bit down, due to recent storms, but there was little or no current, which was nice. We saw some great fish life, and I even got the elusive queen angel to sit still long enough. I think those queen angels know they're awesome, and they really do mess with you! I would like to do some dives here when viz is better and without those jellies! Yeah, I'll be back. Here are just a few samples of my pictures. Ahh, there she is! Gotcha! Thanks for being a good model! The French Angel likes the camera, too! And, always so friendly! 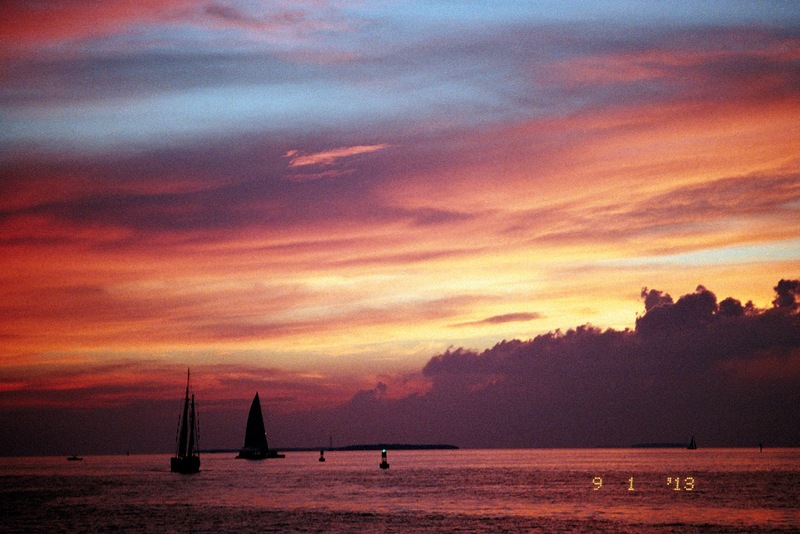 Key West, in my mind, is one of the best places to view a sunset. The clouds seem to cooperate just as the sun goes down, providing some brilliant colors. Have you ever been to Mallory Square at sunset? This place goes all out - a real sunset celebration near the Westin. Boats skim by, birds swoop, and the sun sizzles (along with some people). I love pictures of sunsets. 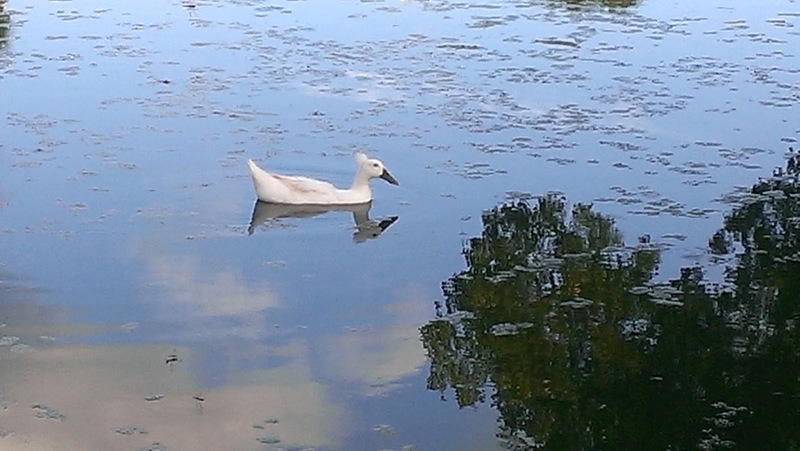 It's like taking pix of fish or birds: you take a bunch and hope for that awesome shot! As you can see, I really like pictures! Til Next Time! Thanks, Sweethearts!